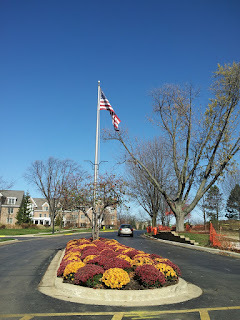 FlagRunners can't run by a flagpole like this one at the Touhy Office Plaza without stopping to take a closer look. Your flag is likely a centerpiece for your property. Why not decorate it for the holidays and for special reasons unique to your concern? The 1400 Building in Des Plaines, IL took advantage and it sure got us to stop and look. We talk about going the extra mile. Some flag displays are just stunning by the small additions to detail which make the display unique to the flag flyer or broader community. There are plenty of reasons to spruce up your flag display, holidays or the changing seasons are a few examples. This is a great example so take a look at today's video. 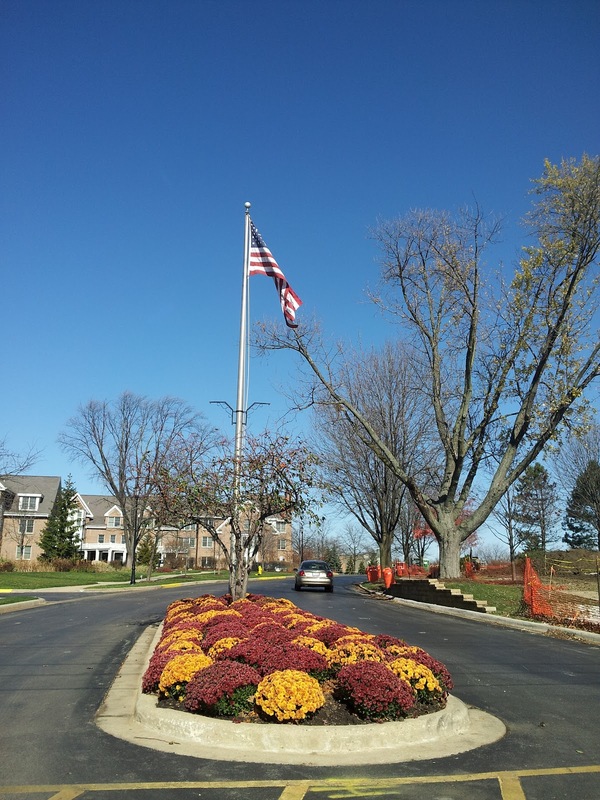 We also had to stop when we came across this beautiful flag display at the Luther Village in Arlington Heights, Illinois. The flag is surrounded by Autumn flowers. Rich reds and bold colors remind us of the changing seasons. The flag welcomes visitors to the residence. How do you celebrate and decorate your flag display? Send us a picture of your unique display so we can post it at support@flagdesk.com for others to see!